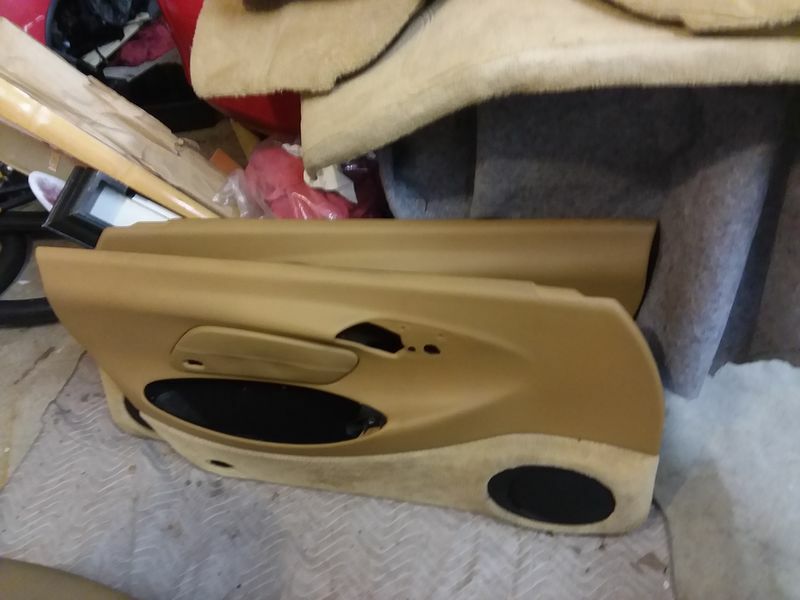 Parting out an 01 Boxster base, Guards Red exterior, Savannah Beige interior. No engine, transmission, windscreens, visors or headlights, soft top is done, driver's seat is worn and passenger seat is not too far behind. Skimmed through eBay for a price point but all prices are OBRO, I use Paypal and ship flat rate box, larger items shipped will most likely be cost prohibitive. 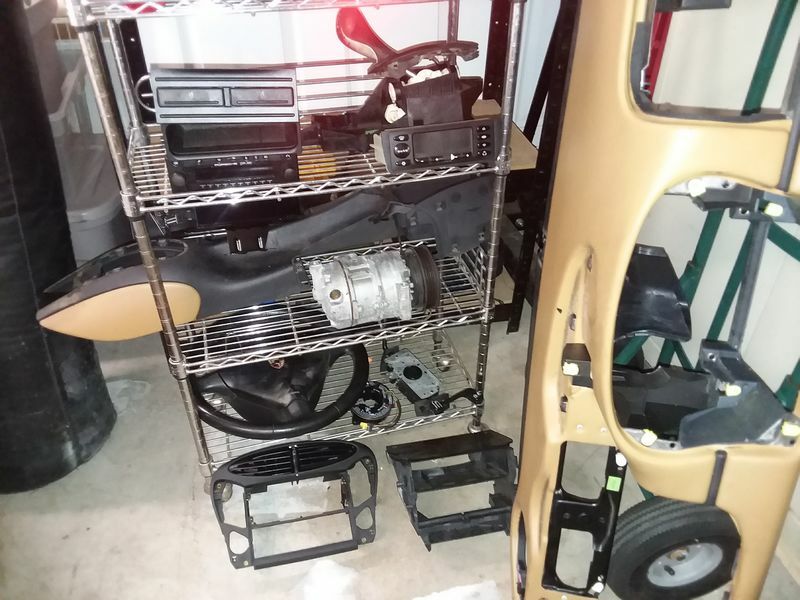 Pics show what I've been able to quickly stage, please excuse not giving these a good wipedown as i'm trying to pull every conceivable part off of the chassis. 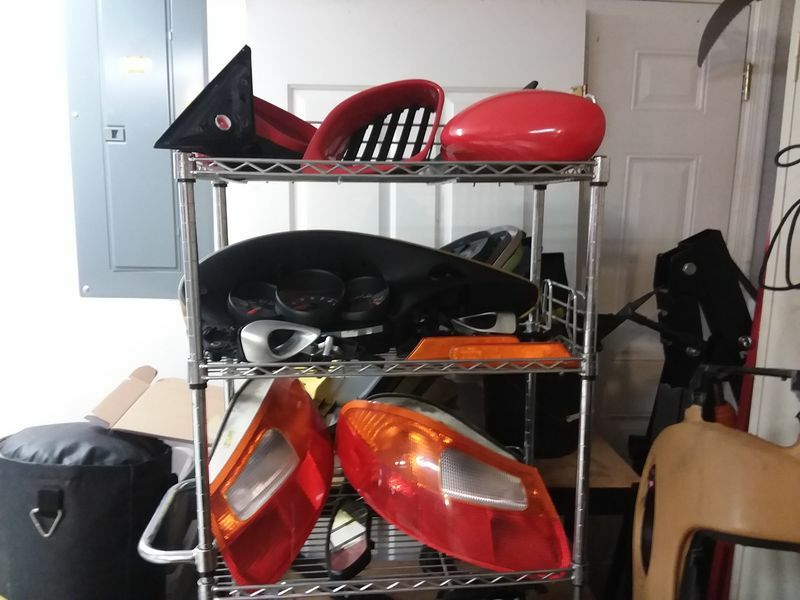 I'll add parts as they're pulled, please PM with any questions/requests. Thanks! Last edited by Okanebm; 11-18-2018 at 07:39 AM..
Hey I don’t think I can send you a PM. Your post count is too low. Interested in the CDR 220 What is the condition of the unit and the buttons? Good Condition, buttons are not sticky. Thanks. Do you have the radio code? 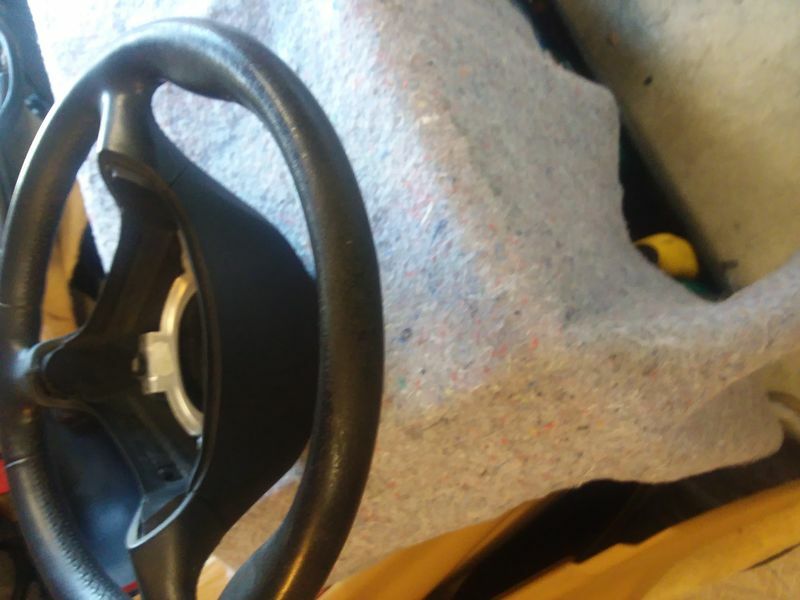 Also can you please email me a better picture of the steering wheel? I am interested in that as well. Assuming it comes with the airbag? steering wheel does not come with airbag. VIN lookup for radio code. Thanks. Not sure what you mean by VIN look up. Can you please explain? Also first picture shows the steering wheel with an airbag on the rack. Is the airbag available separately? Or is it not being sold? Airbag is not available. Radio Codes can be looked up using the vin. "I can do a" was omitted from the rest of the "VIN lookup for radio code". Are the seats or seat skins available ? The seat bottoms are in horrible shape. shift cables with shifter $100 paypalok? Is the clockspring still available? 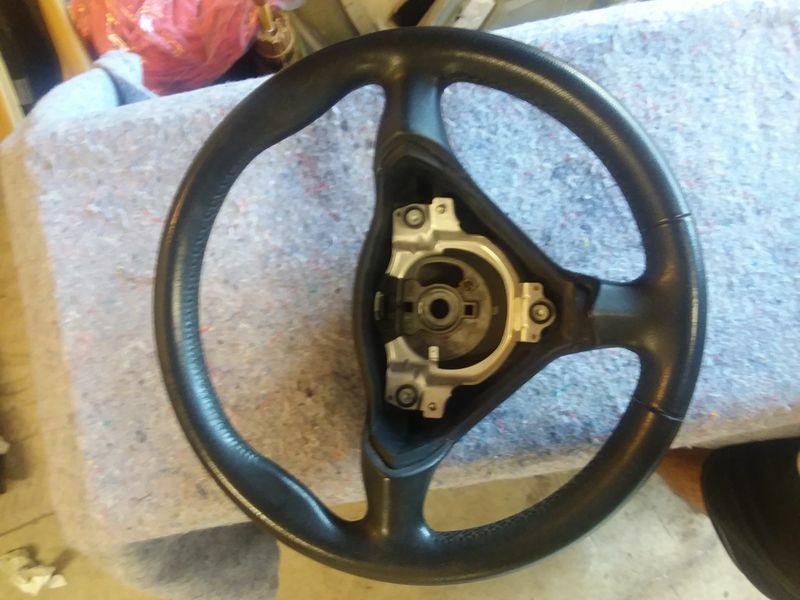 Do you know if it will work with a 4 spoke steering wheel? Yes it is and yes it will. 1997-2204. I will take the radio if its not sold yet, PM'd you. Interested in passenger side window regulator if it is still available. Interested in ignition keys if available? Where are you located? Still parting this one?